The 'Goosebumps' movie looks to extend his spooky legacy a little longer. 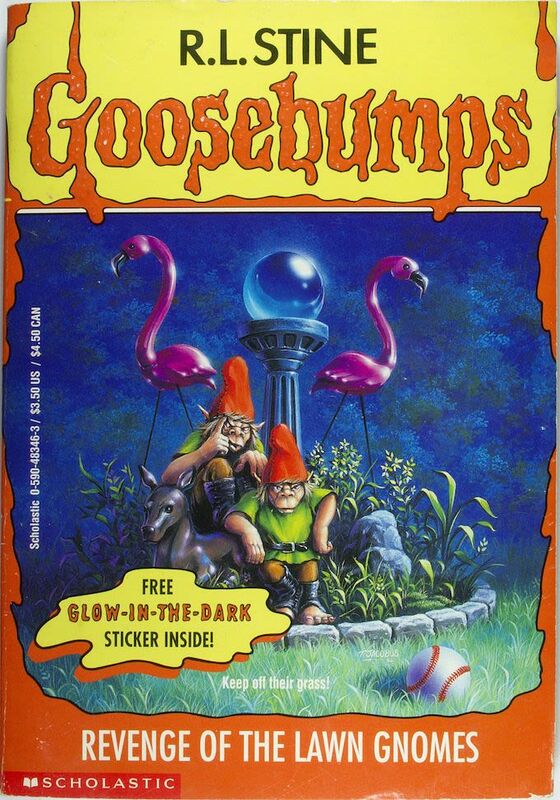 If you grew up in the ‘90s, chances are you read between one and a dozen Goosebumps books. The maestro behind those creepy tales of haunted masks, evil ventriloquist dummies, and deadly lawn gnomes is the inimitable R.L. Stine, the would-be Stephen King of children’s horror. If you haven’t heard of him, you’re about to: The big-screen version of his iconic series is hitting theaters in October and he’s the main character. The movie looks to have a surprisingly entertaining meta-storyline that will pull all of the ghouls and goblins from the Goosebumps books together. Jack Black actually plays a heightened, fictionalized version of the author himself, who is apparently protecting the world from the monsters he writes about. It’s not the best movie plot, but it’s surely a clever way to rope together all of the books into a marketing machine. This movie will move units — and there are a lot of units to move. The real-life Stine (who we should say doesn’t really resemble Black one bit) hasn’t been snoozing on the publishing front since the original Goosebumps books flew off shelves 20 years ago. There are 10 different spinoff series of his horror tales with each focusing on different aspects of the whole mythology. There’s a set of choose your own adventure books, Goosebumps short stories, a series with a multi-book story arc, and even a Goosebumps art book. His Amazon author’s page is awash in more children’s horror books than you could possibly imagine, but it also includes the troves of other series he has written, like a teenage version of Goosebumps called Fear Street, and an adult-ish horror novel called Red Rain. He is nothing if not prolific, and he’s even pretty good at the whole Twitter thing. The Goosebumps movie will hopefully scare up new readers and teach us to fear, well, everything. Fear is Stine’s business.